Premium real estate in Seychelles has recently become a little more accessible due to the creation of Eden Island – a development just off the coast of Mahé. This reclaimed landmass presents an attractive, and potentially lucrative, opportunity for investors looking to extend their real-estate portfolio. In the past it has been exceptionally difficult to purchase property in the area as a foreign investor. However, the current government has amended ownership laws and allows for a greater level of property purchases from outside the country. Add these exclusive premises to your list of assets and benefit from this new legislation. Due to the environmental considerations taken by the Seychellois government and the preservation of the country’s abundant wildlife, there’s little space available for further development. It’s therefore best to invest sooner rather than later. On Eden Island, you’ll have the opportunity to invest in apartments, maisons and villas – for either rental or resale returns. There are also a number of support services, facilities and amenities, which will increase the value of your premises. High returns – The appeal of this luxury development is evident in the sale of over 340 units since the start of construction. It’s also a good indication of the demand for property in the area. The success of the development continues to grow, remaining largely undeterred by economic fluctuations. Maintenance – There are a number of elements to your property and its additions that need to be properly cared for. These range from thehousekeeping services available, to the general upkeep of moorings, appliances and gardens. As an owner, you can opt in for these services. Unique opportunities – As an owner of any property within the Eden Island development, you’ll have the chance to apply for residency. You will also own your property on a freehold basis. These are opportunities that were not afforded to foreign investors in the past and now offer a gateway into the Seychellois real-estate market. 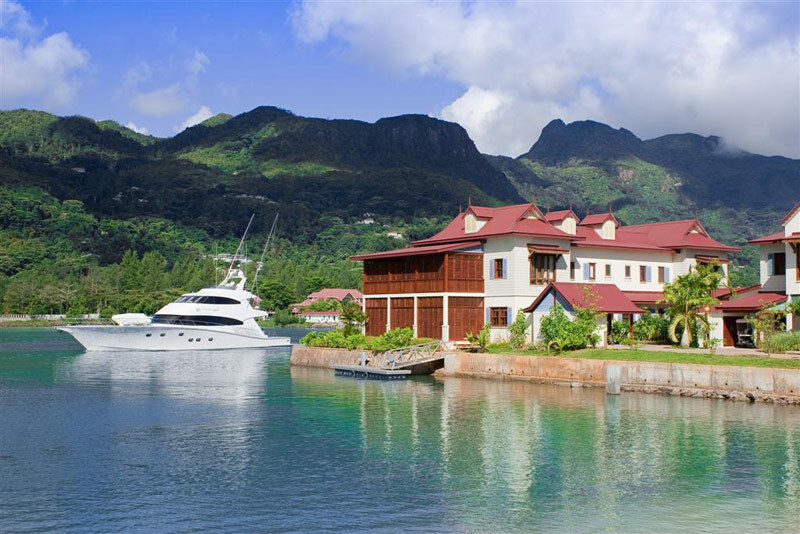 Socio-economic strengths – Eden Island, as well as Seychelles in general, is a particularly safe area with barely any crime reported. The country has seen major economic development and, in turn, a positive domino effect through the population. The country also boasts a highly literate population, who are generally warm and hospitable towards visitors. All told, Eden Island offers you a sound opportunity to invest in luxury real estate in Seychelles. As the economy and legislation transforms, you have a greater chance to benefit from less restrictive tax laws and the last of the available property in the area.